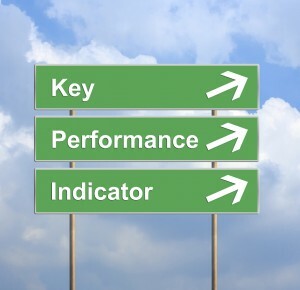 Key performance indicators (KPI) demonstrate how well businesses are performing. But it’s not always easy for some companies to measure their KPIs—especially small business owners whose primary focus is on building products. While great at providing what their customers need, many simply don’t know how to take their companies to the next level. To remain competitive, business owners, IT departments, and company heads must identify and monitor metrics that accurately collect and analyze relevant business data from everyday applications, such as tracking shipments, monitoring inventory levels, and completing orders. Doing so ensures unintentional errors don’t become incorrect income statements when traveling across the supply chain. There are several metrics—such as customer retention rates, staff productivity, and fixed overhead costs—that help companies gain greater insight about their operations. Among those are KPIs for inventory management. This System ID article focuses on the four best inventory metrics for growing businesses. Inventory, such as raw materials, works-in process (WIP), and finished goods, is an important asset because it is the primary source of revenue in most companies. Too much inventory ties up cash and incurs additional storage or spoilage costs, while too little inventory leads to lost sales, lower market shares, and unhappy customers. When inventory levels are correct, growing businesses find it easier to forecast requirements, buy the right lots, and ensure just-in-time (JIT) deliveries. That’s why it’s important to accurately track inventory levels through regularly scheduled counts—especially for those items that generate the most sales. And the best, most efficient way to do so is to implement an automated inventory management system, such as Wasp Inventory Control. It has the features expanding businesses want without wasting money on those they don’t need. Coupled with scanning devices such as barcode scanners and mobile computers, companies can virtually eliminate inventory errors and predict inventory requirements that result in increased profitability. Bryan Harej, inventory analyst of TopGolf, a growing entertainment company with eight U.S. locations, says his company enjoyed instant results after deploying Inventory Control. When companies know their sales revenues and cost of goods sold, they can determine their gross margin. According to Investopedia, gross margin is defined as a company’s total sales revenue minus its cost of goods sold, divided by the total sales revenue, expressed as a percentage. In other words, it represents the percent of total sales revenue that companies’ retain after incurring direct costs associated with the production of goods and services. The higher the percentage, the lower the cost per unit, which leads to increased margins. For example, if a company’s gross margin for the most recent quarter was 35 percent, it would retain $0.35 from each dollar of revenue generated. This amount would be used to pay off general, administrative, and sales expenses; interest expenses; and shareholders. Gross margins vary from one industry to another. Even so, they are a great way for investors to compare the profitability of different companies. Businesses bet they can sell their entire inventory several times throughout the year. This is known as inventory turnover. Inventory turnover ratios measure how efficient business owners are at managing their inventories and generating sales. They are calculated by dividing the cost of goods sold by average inventory. It’s important that businesses routinely compare their inventory turnover ratios to industry benchmarks for an accurate assessment of their inventory management systems. For example, food distributors may have higher turns than furniture suppliers. So, comparing ratios between the two industries doesn’t provide the insight companies need. Instead, each company should determine how many days it takes to turn inventory in their specific industries. To arrive at this number, businesses can divide the number of days in a year (365) by the number of inventory turns. Optimal efficiency and customer satisfaction are key goals of every organization. But often, goods become damaged, orders are incorrect, and packages don’t show up on time. How can companies achieve perfect order rates for streamlined processing across the entire supply chain? This lowers the percentage of packages that are shipped without incident, thereby ensuring that the right orders are delivered to the right customers at the right time. As stated, there are additional metrics companies should monitor for a clear picture of their overall performance and fiscal health. They include the four metrics mentioned here, which are best for measuring inventory management—regardless whether you’re a savvy expert or struggling beginner. When armed with the information you need, you’ll have the insight you require to successfully grow your business. Ready to take it to the next level? Want to learn more about inventory metrics? Contact System ID at 888.648.4452, or schedule an online demo of Wasp Inventory Control.